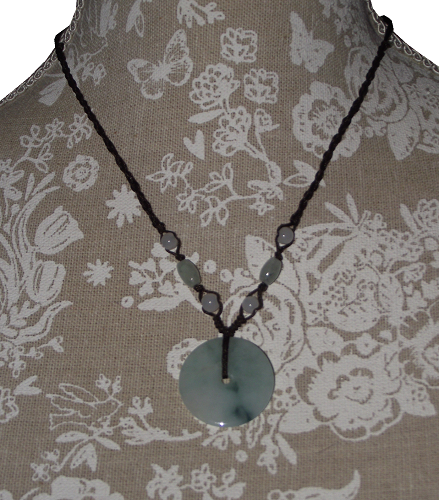 Green Jade Chinese Bi-Disc pendants strung onto a braided slipknot neck cord along with decorative jade beads. 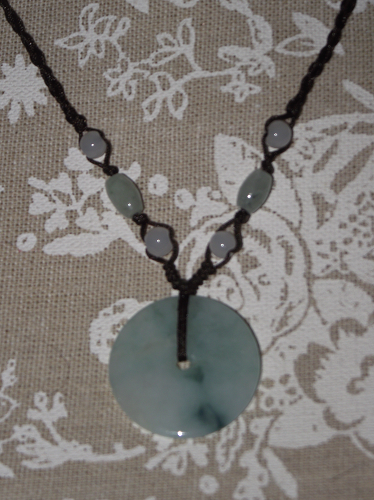 Bi-Discs were used in China as far back as the Neolithic period. 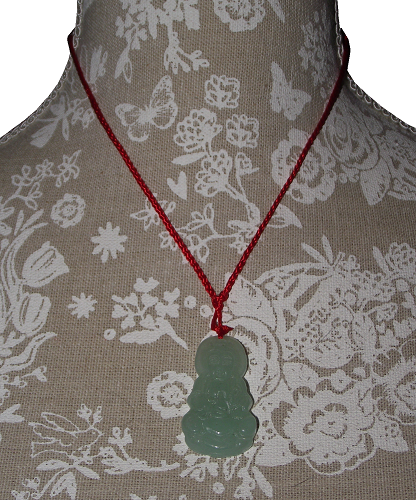 The jade discs are worn as a status symbol, and used for ritualistic purposes. 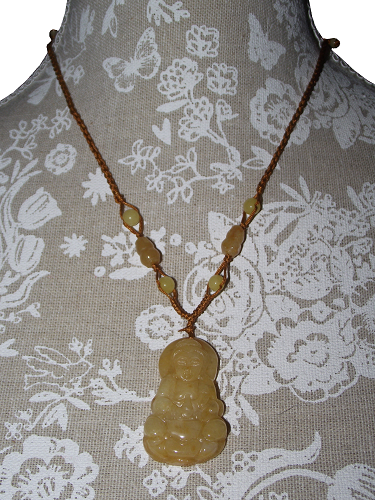 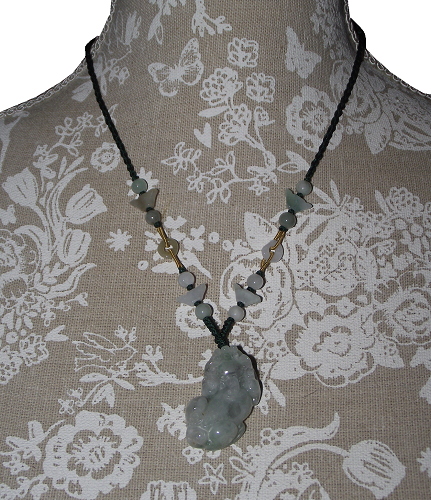 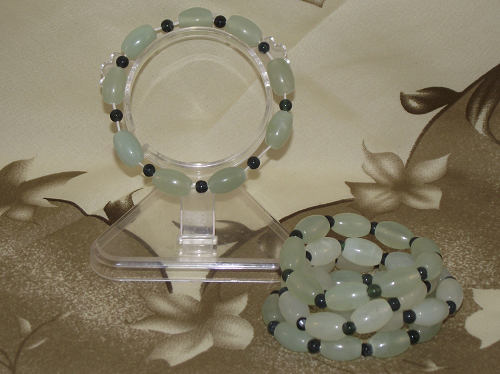 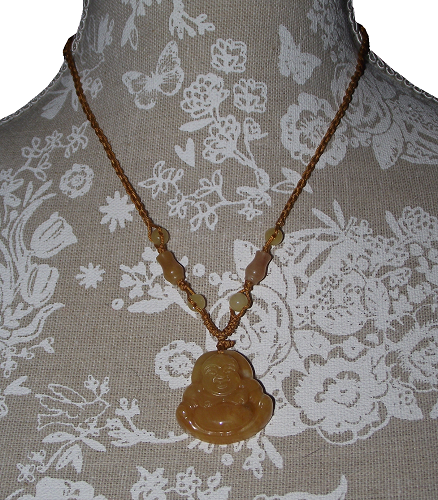 There are 8 jade beads in assorted sizes woven into the neck cord.